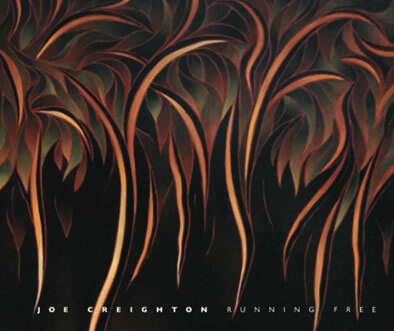 Joe Creighton has just released his 4th solo album Running Free which draws inspiration from his Soul, R&B, Blues and Gospel roots. Discerning listeners will hear threads of Al Green, The Temptations, Bobby Womack and Sam Cooke. Growing up in Northern Ireland, Creighton was exposed to R&B and Blues in the local music scene in Belfast in the ‘60’s with bands such as Van Morrison’s ‘Them’ and across the Irish Sea, with The Rolling Stones, The Animals, The Yardbirds and The Pretty Things. It is interesting to note that Creighton plays or has programmed practically everything on this new album including the drums and backing vocals, a brilliant showcase of his multiple talents. He did however get a bit of help from his mates Jimmy Sloggett on saxophone and James Black on keyboards and guitar. Sloggett made his mark with Max Merritt and the Meteors and Johnny O’Keefe in the early ‘60’s. Black of course is an Australian household name from his most recent time on Rockwiz but his time with Mondo Rock cemented him in Australian Rock History. There is much anticipation surrounding this new album as his first album Holywell, released in 93, has stood the test of time with much critical acclaim and was recently re-reviewed as ‘A Buried Treasure’ in Brisbane’s Courier Mail. Creighton toured Hollywell across Australia in ‘94 supporting the Neville Brothers and subsequent albums have included Stranmillis Road in 2000, Falling Again in 2003 and a Compilation Album featuring three new tracks which was released in late 2013. Creighton came to Australia from Northern Ireland in 1967 at the age of 18 and throughout the early 70's lived in London and toured Europe before settling in Japan for two years where he received his first taste of writing and recording with electronica genius Dr Osamu Kitajima. His first Australian band was ‘Melissa’ who recorded ‘Midnight Trampoline’ in 1971 and which has a cult following among young musicians still to this day. In 1976 he recorded the album ‘No Definitions’ with the band 'Billy T' who he formed with the legendary Ross Hannaford. Creighton and Hannaford then hooked up with singer/songwriter Mark Gillespie to record the iconic ‘Only Human’ album. The success of this collaboration established an important part of Creighton’s career as a much sought after session musician that lead him to tour with John Farnham. Their musical relationship lasted 13 years and culminated with Farnham recording one of Creighton’s songs ‘The Time Has Come’ on the Chain Reaction Album. Creighton has toured internationally with Kylie Minogue and Olivia Newton John and has shared the stage with such luminaries as Boz Scaggs and Sir George Martin and performed as a ‘Raylette’ with the legendary Ray Charles.Closer to home his work can be heard across many albums for artists such as The Black Sorrows and The Revelators, Crowded House, Lee Kernaghan, Rick Price, Tim Finn, Kate Ceberano and the late Mark Hunter and Billy Thorpe and most recently on the Grammy Award winning Best New Age Album ‘Winds of Samsara’. With high regard from his musical peers, Creighton may once have been best known as a bass player and session singer but after the extraordinary success of his own show Into the Mystic -The Music of Van Morrison, he has undisputedly established himself as a most outstanding singer and performer, commanding audiences with his powerful vocals and charismatic delivery. Joe Creighton is very much looking forward to sharing this new body of original material and to performing it live.